A charity will be launched in honour of the late Dr David Memba Troko. The Dave Troko Eden Charity will work towards the realisation of the dreams of the late medical practitioner by bringing relief to the destitute in Liberia through the alleviation of ignorance, poverty and disease. Presenting the Dave Troko Foundation during memorial services held on Saturday, February 22 at Sutton Coldfield Baptist Church, West Midlands, United Kingdom, the daughter of the deceased, Mrs Grace Troko – Schilder said her late father dedicated his life towards serving the needy in Liberia. “It was always dad’s dream to assist his fellow Liberians and bring them out of their miseries. That’s why he travelled back and forth to the country and donated his services to clinics, hospitals and wherever it was needed”, she noted. Mrs Troko – Schilder, Dr Troko’s eldest daughter, promised to dedicate her skills and time towards the fulfilment of her father’s dream. The widow of the deceased medical practitioner, Mrs Velma Troko thanked all those who have assisted her family for the past year and comforted them in their time of bereavement. She reflected on the life of her late husband who she said was a true follower of Jesus Christ and said God has truly blessed her family. Tributes and poems were read during the ceremony and songs of praises were rendered by the GVC Worship Team backed by Fitz and the Band. Dr Troko worked in accident and emergency and specialised in paediatrics at the Good Hope Hospital in Sutton Coldfield. According to close relatives and colleagues, Dr. Troko was always called upon to handle cases involving children because of his skills and ability with distressed children to calm and appease them. 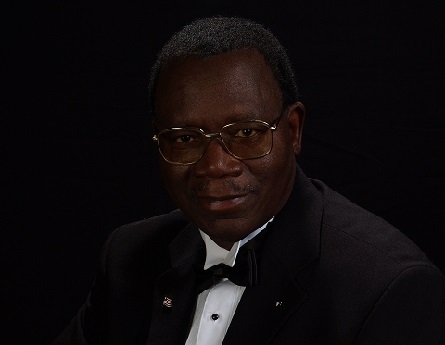 Immediately after his retirement, he returned to Liberia where he volunteered his services to the ELWA Hospital and passed away shortly after returning to the UK to be with his family for Christmas.